We typically post a minimum of five news items each day, sometimes rather more. A network of contributors around the planet feed information to the Editor, and news is always posted promptly. 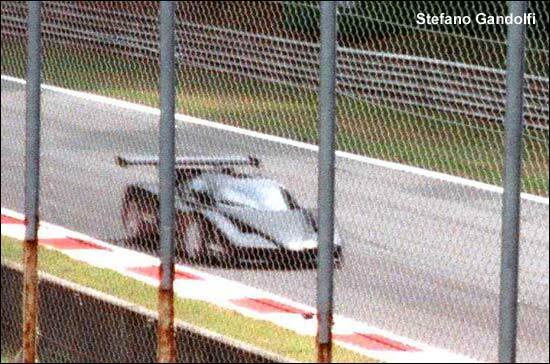 Stefano Gandolfi spotted this machine on test at Monza, during the first week of July 2003. First Sight Of The New Maserati? 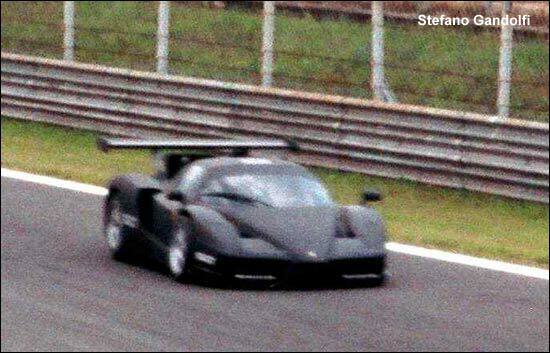 Images are flying around the web at the moment of what may well be the first (semi) public appearance of a very significant GT car. 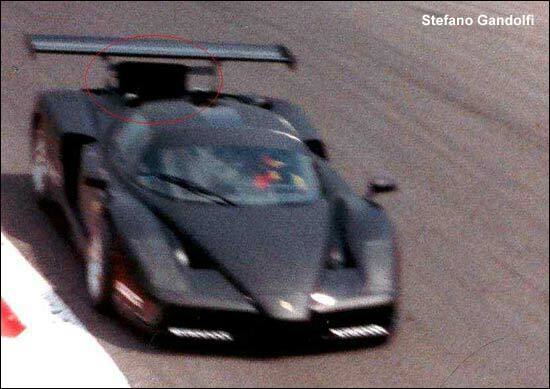 Is this the muletta for the Ferrari Enzo based Maserati factory car for 2004 testing at Monza this week? Stefano Gandolfi reports that for the first two days the car did only 10/15 shakedown laps, while on the third day it ran for just 5 laps. Of particular note are the radiator under the rear wing and the oversized front tyres.